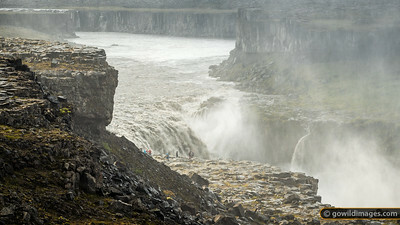 Dettifoss falls – 'the most powerful' in Europe. 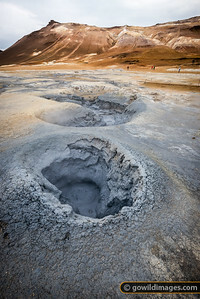 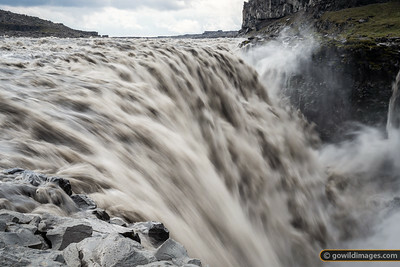 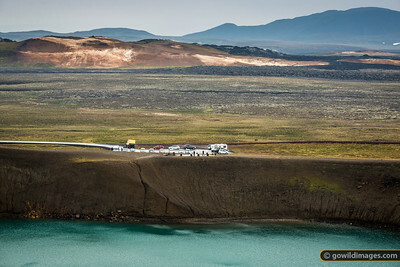 If the Barðabunga volcano erupts and melts through the 700-900m of glacial ice above it, this river will flood severely and the landscape could permanently change. 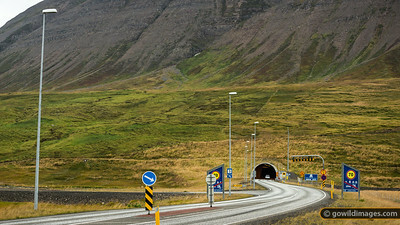 As of September 2014, the road on the West side is closed in case this happens. 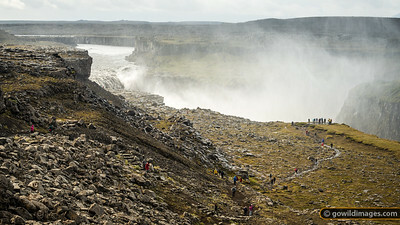 Dettifoss, the 'most powerful' falls in Europe. 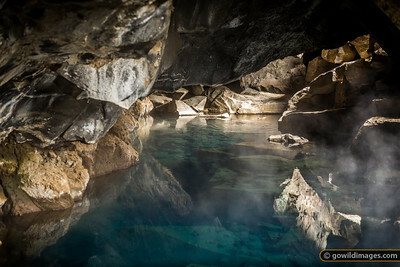 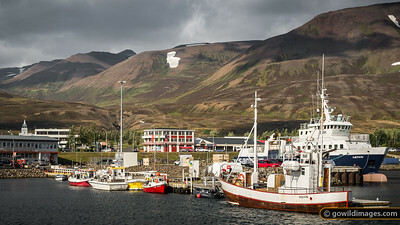 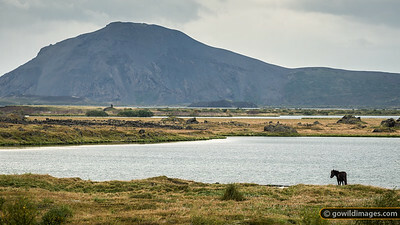 This river, Jökulsá á Fjöllum, could see massive flooding if the Barðabunga volcano erupts and melts through the 700-900m of glacial ice above it. 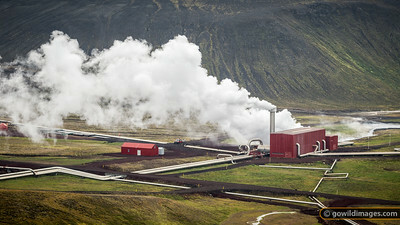 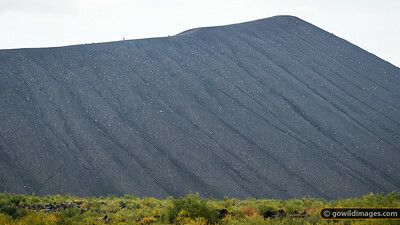 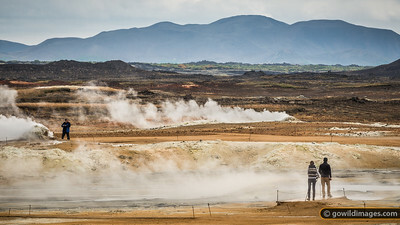 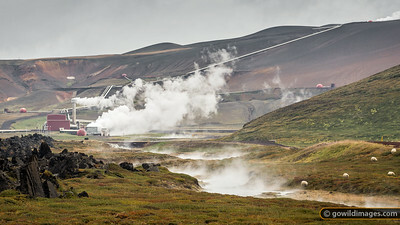 Last active in 1984, the area nearby has been developed for geothermal power production, with magma found just 2.1km below the surface. 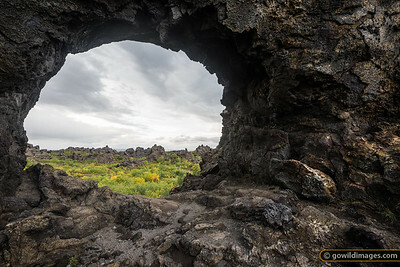 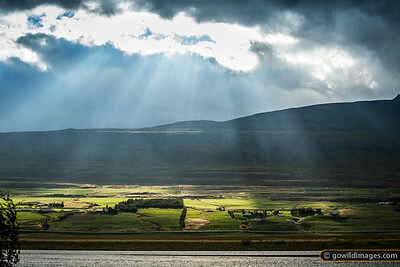 This panorama can be printed up to 80cm wide at photo quality, or larger as a poster. 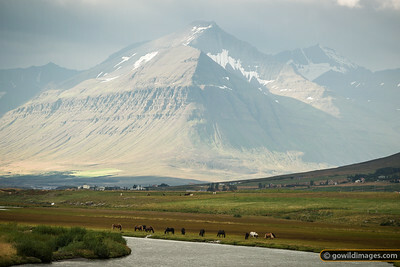 Litlihnjukur peak rises 1166m above farmland near Dalvík. This area is one of the prime ski regions in Winter, catering for downhill, cross-country and even heli-skiing.